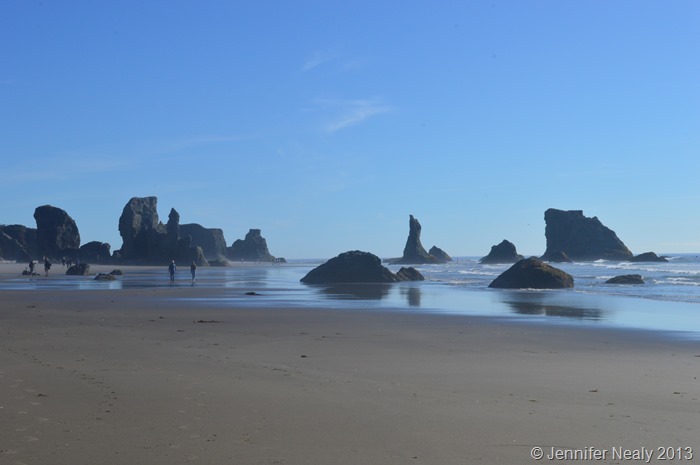 From Winchester Bay, we headed south down highway 101 yet again, to the town of Bandon and nearby Bullards Beach State Park. 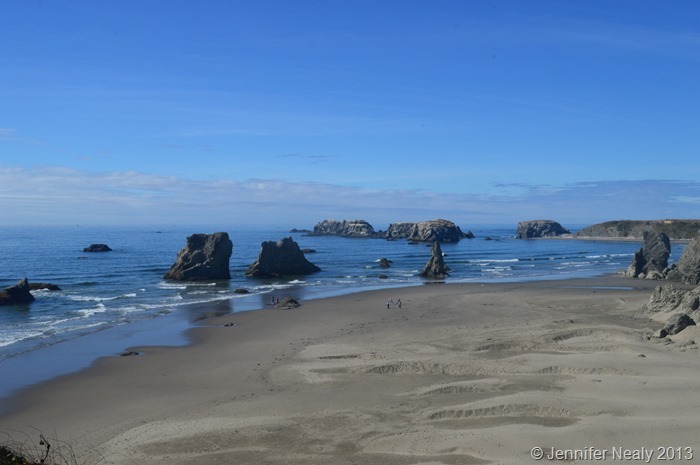 Bandon is a cute little town and the state park is very nice, but our main reason for traveling here was to meet Nina and Paul, who write the blog Wheeling It. Their blog was one of the first ones we found when we starting researching for this trip a few years ago, and we’ve been following them ever since. So we were very excited to get to meet them in person! We were lucky enough to hang out with them several times – a combination of lunch, happy hours, and a delicious smoked rib dinner that they sweetly shared with us. I was so busy talking and having fun with them that I neglected to pull out my camera! We’ve got tentative plans to meet up with them again in a few weeks so hopefully I’ll do better next time. Deas did manage to snap this cute picture of Jake with their dog Polly. I think they might be distant cousins. We stayed at Bullards Beach State Park, which is where Nina and Paul were also staying. 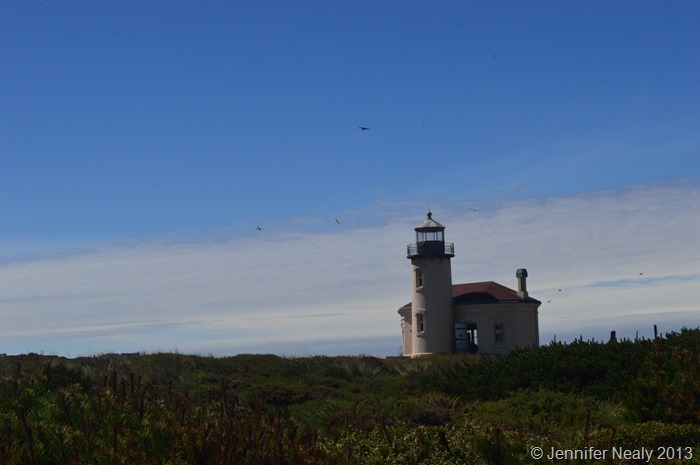 There is a beautiful, wide open beach in the park, and yet another Oregon lighthouse – the Coquille River Lighthouse. 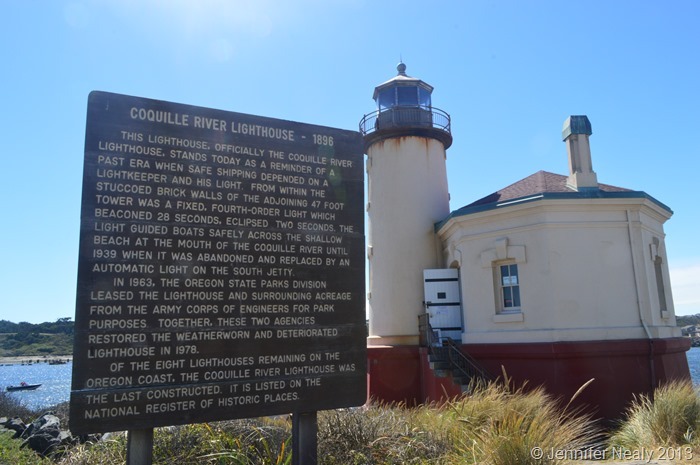 We learned from the fabulous tour guide (Paul) that of the 8 remaining lighthouses in Oregon, this was the last one built. 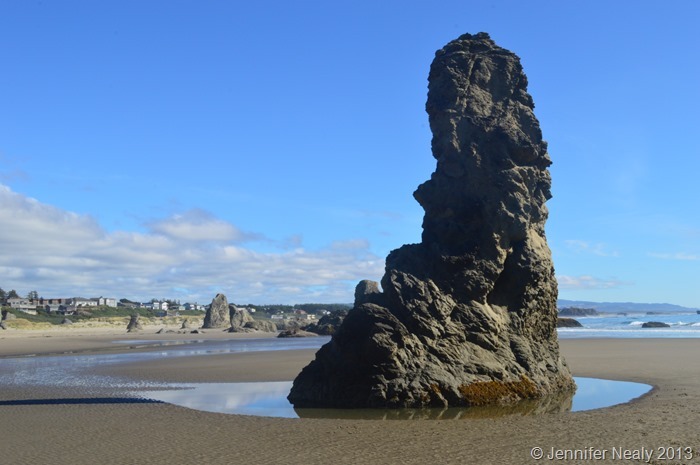 The beach at Bandon is fascinating, with lots of interesting rock formations. The day we visited, there were so many photographers there shooting pictures that I first I thought there was some sort of class going on. But they were all just there to take pictures. 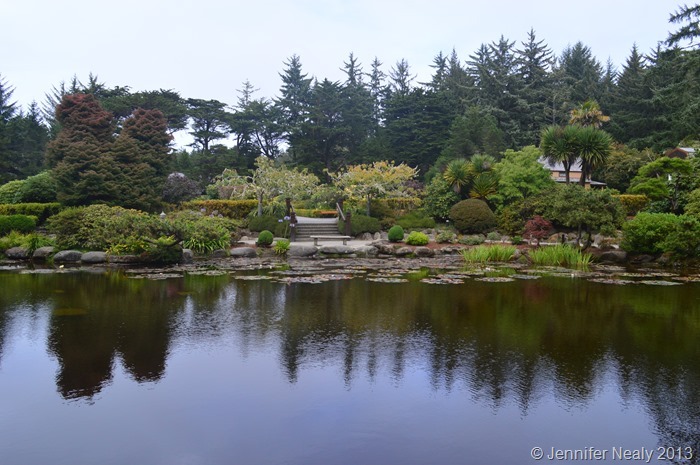 Our usual venturing along Highway 101 took us a bit north to the Shore Acres State Park, which has a fascinating history and a beautiful botanical garden. 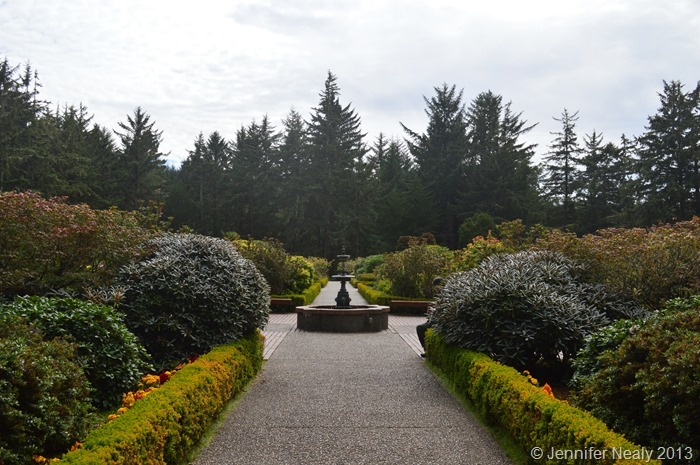 The land originally belonged to Louis Simpson, a wealthy shipping and timber magnate. He built a stately home here for his wife Cassie, which they named Shore Acres. It included the gardens, an indoor swimming pool, and a working farm. Louis served as mayor, ran for governor, and founded the nearby town of North Bend. Sadly, Cassie died of illness in 1921, and then Shore Acres burned to the ground a few months later. He did eventually remarry, rebuild, and adopt two children. Then the Depression hit, and by 1940 he was bankrupt. The rebuilt second house and much of the land was sold to the state of Oregon in 1942, and it was used as a barracks in WWII. After the war the home was demolished. 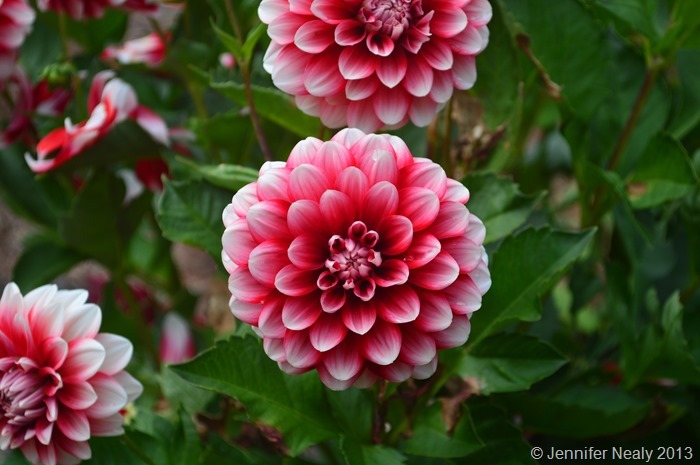 The botanical gardens and a garden house are the only things that remain. 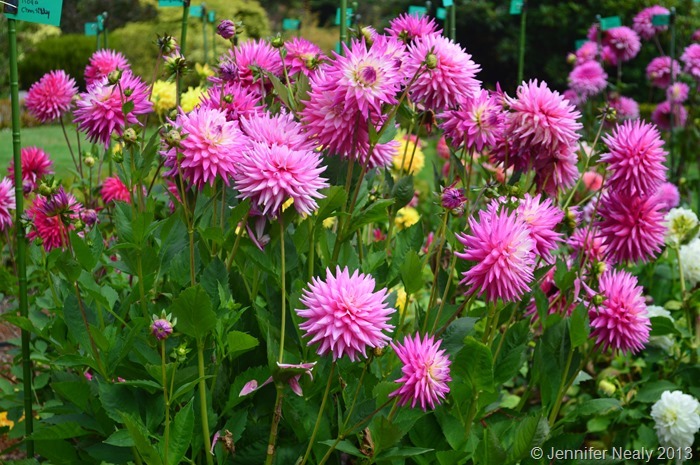 The gardens are lovely but what really got me was the shoreline – can you imagine having this in your backyard? 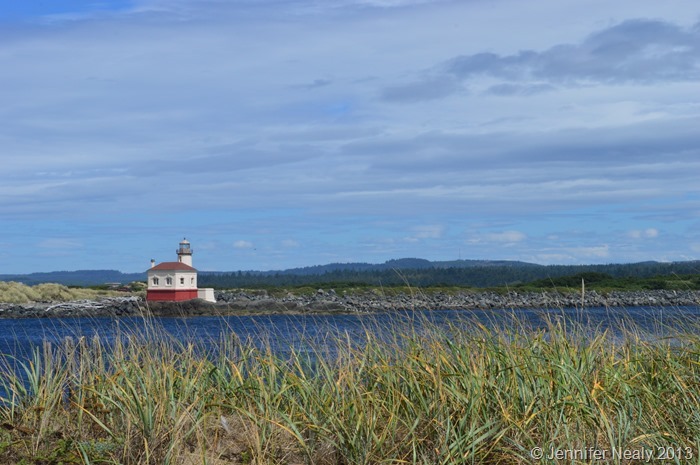 Just south of Shore Acres is Cape Arago State Park, and Shell Island, which is a National Wildlife Refuge. You can’t visit it, but you can view it from a few overlooks in the area. 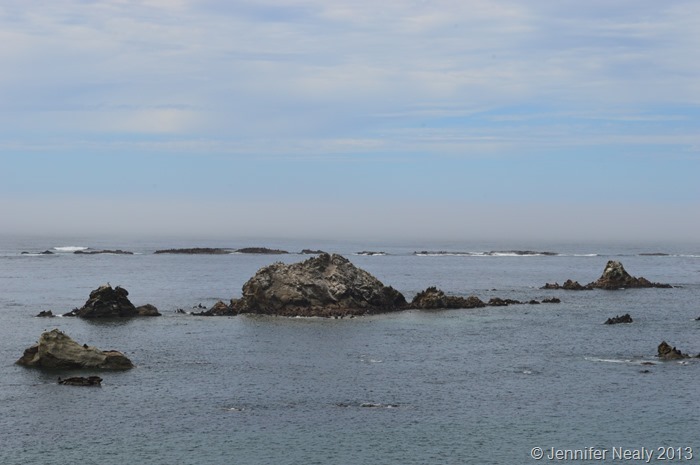 There were hundreds of seals and sea lions on the rocks – we could hear them as soon as we opened the car doors. Unfortunately the rocks were a little too far out to get a good picture, and I left my zoom lens back on the RV. But trust me, they’re there! We’re leaving the coast for a few weeks. We’re headed to Eugene to (hopefully) get a few things fixed on the RV, and then to Bend and Crater Lake to meet up with some friends. And then we’ll hopefully return to the coast for another week or so and meet up with Paul and Nina again. 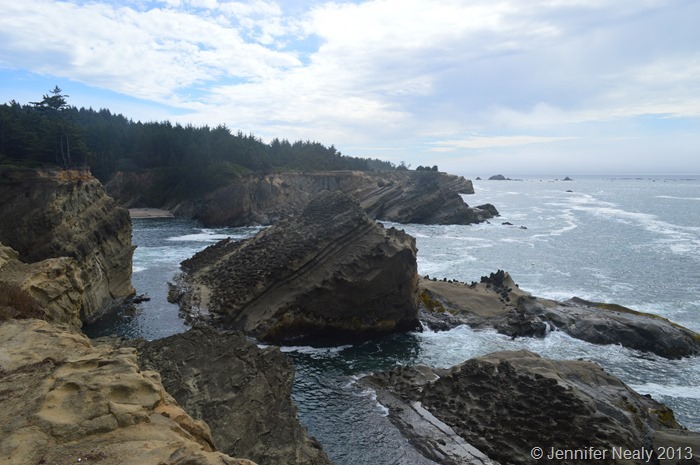 It seems we just can’t get enough of Oregon! Yeah!!! 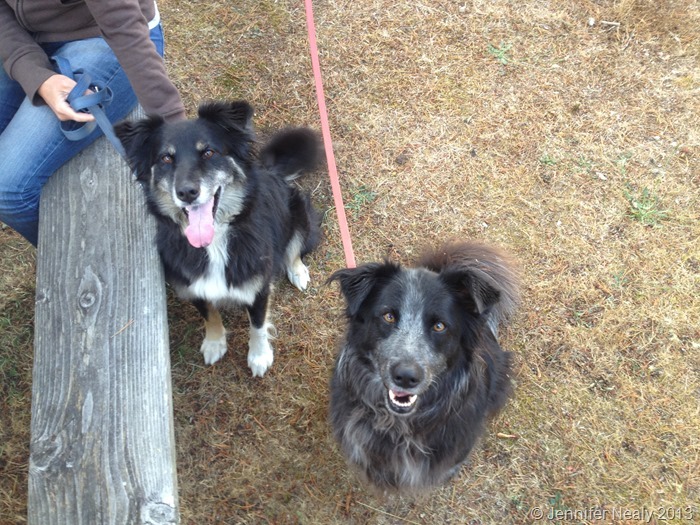 You got a pic of the doggies! Totally forgot about that one. Nice capture there. 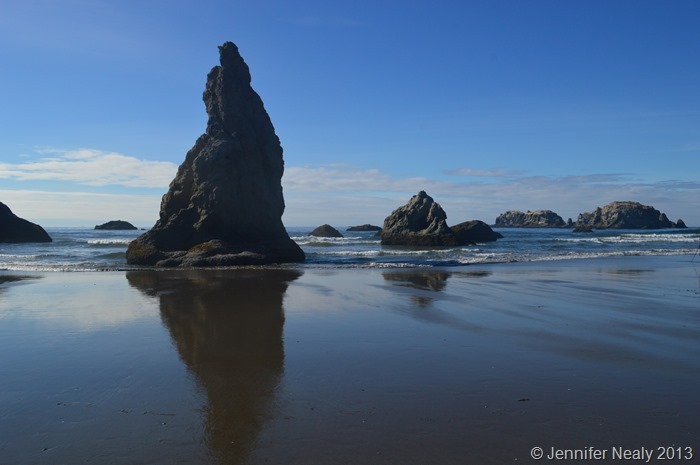 It was lovely to see you in Bandon & look forward to meeting up again in Cape Blanco. Yes we’re definitely hoping to make it to Cape Blanco! (1) when there’s a big storm at sea. 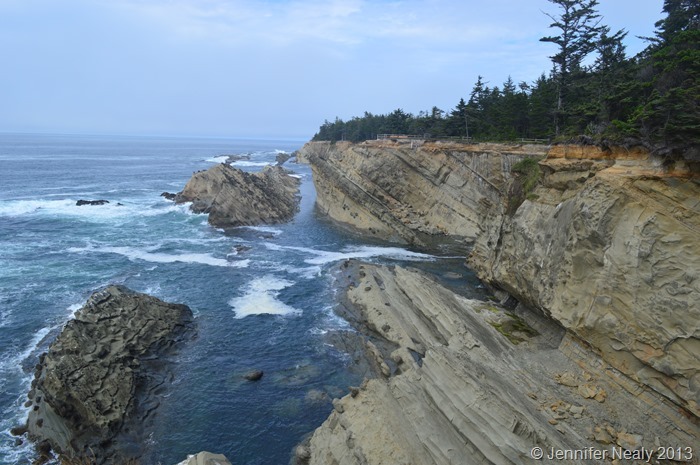 The waves crash against those rocks sending spray over 50′ in the air and booms like thunder. Fantastic. (2) At Christmas when they light up the gardens, and gatehouse with thousands of Christmas lights and you can walk through it. Both of those things sound spectacular! I’ll have to keep that in mind!